Centuries ago, physical well-being is one of the main concerns of people and mental health issues were not considered to be important enough. Though, the philosophical and scientific interest in the human mind is quite old. In ancient civilizations like Egypt, Greece, Persia, China, and India, the subject was pursued in great detail. Despite the clear interest, the subject was not considered enough to be studied as an independent area before the 1870s. that practice began in Leipzig, Germany back in 1879 under the guidance of Wilhelm Wundt. In the last one and a half century, the treatment methods have evolved a lot. 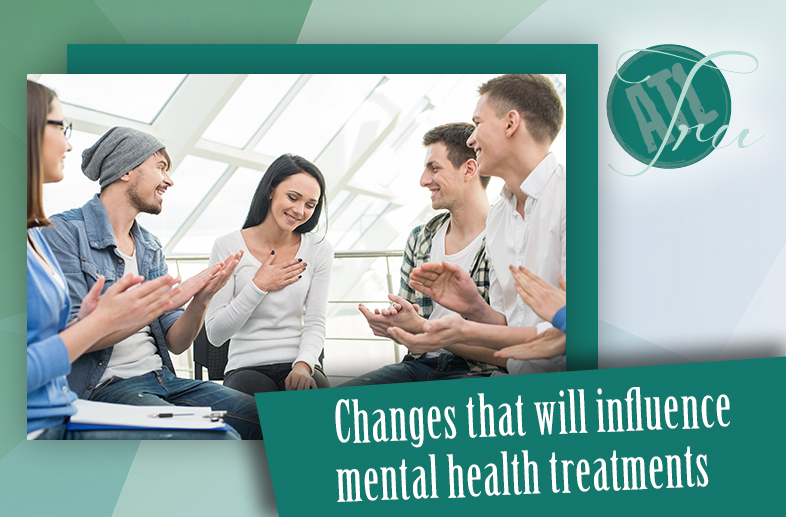 Mental health counseling has become one of the most important and opted for methods used by trained therapists. Gathering Information – If you are in need of assistance and treatment for the mental health issues you are battling with, then knowing about the subject, including the evolving treatment methods will be of help. By going through the information, you will be able to gain an idea about what to expect and that will be quite an incentive for continuing the treatment. The changes that are influencing this field, are also shaping the treatment process considerably. For instance, early diagnosis and intervention have now become the norms for treating mental health issues. Additionally, it has opened a stable and effective channel of communication between people, especially the patient and his/her loved ones. The taboo associated with the subject is diminishing slowly but certainly. The Evolving Process – Due to the open nature of the conversation and approach, it has become possible to intervene in an early stage which provides an edge to both the patient and the therapist to achieve early diagnosis, proper treatment, and complete healing. As people are more inclined to talk about the psychological issues they are having, it has become possible to open a stable dialogue regarding the subject culminating in proper healing. A number of genetic discoveries have been made in the last few decades and the trend continues. Psychiatric geneticists are discovering genes that are associated with different serious psychiatric disorders. They are also providing clues of molecular psychopathology of various mental disorders. This will eventually lead to the discovery of specific biotechnology-driven disease-modifying pharmacotherapeutics instead of just symptom-controlling agents. Additionally, various researches have been conducted to find the reasons behind different mental illnesses. The result has changed the perspective on the subject from being a simple chemical imbalance to a serious problem. New and specific researches are proving to be integral towards not only discovering the reasons behind mental health problems but also for finding the cure. Mental health counseling is still one of the best and most effective ways of treating the problems one is having but science is advancing towards that day when these issues can be treated with complete certainty instead of just concentrating on managing the symptoms and continuing for years to achieve a modicum of complete healing. Until then, working with the available methods and honing them further to help the people who are suffering.